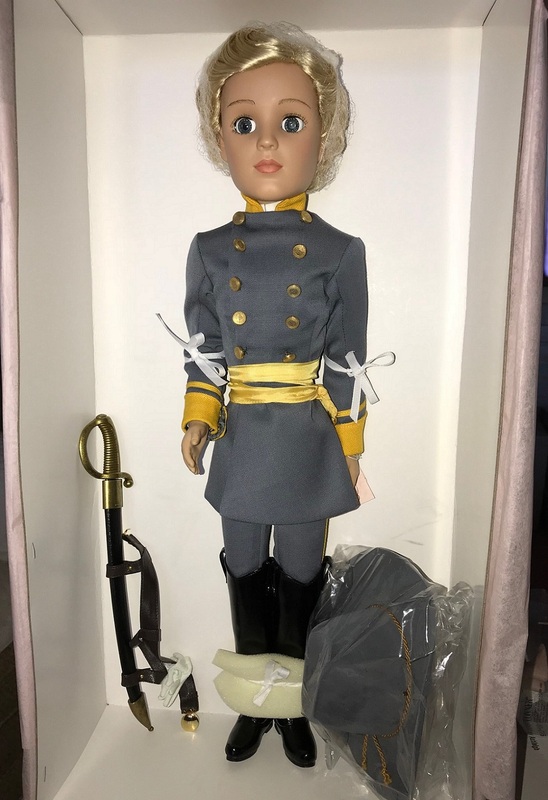 Extremely rare male Cissy featuring 10 points of articulation, blue eyes and a blonde, wavy wig replicating Leslie Howard's look in "Gone With The Wind," was the centerpiece for the 2011 MADCC Cissy Event in Atlanta, GA. 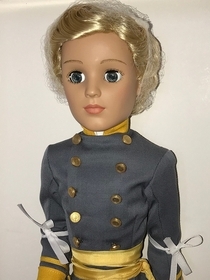 He's wearing a Confederate officer's uniforn of high quality grey twill (lined). 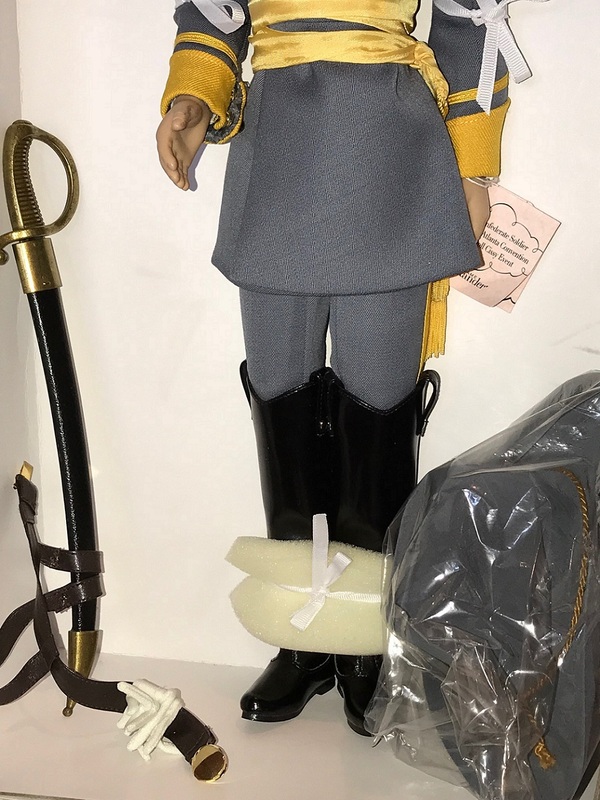 The long jacket is accented with yellow banding, double row of brass buttons on front of jacket and cuffs and fringed sash. Uniform includes grey officer's hat with gold cord handband and the front of the hat is studded with metal gold tone letters C and S encircled with a gold metal design. Ashley also came with a faux black leather belt and scabbard with perfectly scaled metal sword with a brass toned handle. Pristine white gloves are folded over the belt. He's wearing beautiful over-the-knee black boots with pull-on loops, silver studs and substantial soles. Actual centerpiece that I very carefully repacked after event, wrapping accessories in cloth napkins for extra cushioning and have since stored standing up in climate controlled climate. Pristine and all original!